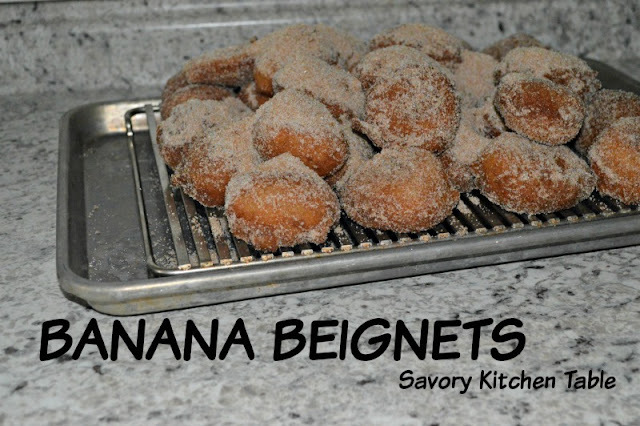 BEIGNET is typically a French pastry made of deep-fried choux pastry but is synonymous in English with the term, fritter, or fried dough. Choux pastry is a pastry made of only butter, water, flour and eggs and does not use a leavening agent. Instead it uses a high moisture content to create steam during cooking to puff the pastry. Ironically the chef given credit for the original recipe is Chef Pantarelli from Florence Itlay and the original name was pâte à Pantanelli from 1540. He left Italy with Catherine de' Medici and her court when she married King Henry II and became queen of France. As with all things over time, the dough recipe evolved, and the name was changed to pâte à popelin, which was used to make popelins, small cakes made in the shape of woman's breasts. Then, Avice, an 18th century pâtissier created what were then called choux buns with the same recipe and the name of the dough was changed to pâte à choux, as Avice's buns resembled cabbages. This recipe however uses a more traditional dough with baking powder. But, only a true connoisseur can tell the difference though and they disappear just as fast as any French made pastry. In a small bowl whisk together the FINISH sugar ingredients ans set aside. You will be using this last. In a large bowl mix sift together the cake flour, sugar, baking powder, cinnamon and sea salt. Set aside. In medium bowl whisk egg and milk until well blended. Add oil and mashed banana blending well. Fold egg mixture into flour mixture until just blended. Drop by small spoonfuls into HOT oil. DO NOT CROWD PAN!!!!! Fry about 1 minute each side until golden brown. Roll warm beignets in Finish sugar an cool on rack. Serve with Cream Cheese dipping sauce. Mix together softened cream cheese and powdered sugar until smooth. Add vanilla and 5 teaspoons of milk, stirring until incorporated and smooth. If the mixture is too thick, add an additional teaspoon or two of milk, until you reach desired consistency. I think I could do this! And they look delicious! They were so easy and yummy too. I froze the extras and they are perfect for a quick snack - just a few minutes in the room temperature air and they are ready to go.